That’s what I’ve learned from these past few months of hunkering down on my advocacy for a NE 7th Avenue neighborhood greenway. If built as proposed, the project would transform 7th — from I-84 to Woodlawn — into a street where safety of all users is the priority. I feel a little more at home on my street and it is a little better already — even without a greenway. 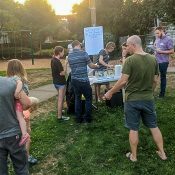 When we last left off, my wife and I had just finished hosting an ice cream social to talk with our neighbors about the project. We knocked on every door from Thompson to Alberta, talking to anyone who opened the door and trying our hardest to make everyone feel welcome to attend, regardless of their position on the project. Over 50 people showed up. But I was disappointed. My neighbors who’ve expressed serious concerns about this project to PBOT, didn’t attend. So I went out to have a conversation with them. I got in touch with Ronnie Herndon, the leader of Albina Head Start who was quoted in a Skanner News article, saying he is, “watching the project like a hawk.” From our meeting I learned that Mr. Herndon is a pretty great guy. 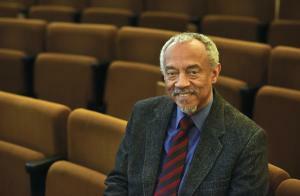 His life has been one of fighting for racial and economic justice for our community. Ronnie has a picture of Martin Luther King Jr and Malcolm X shaking hands hanging over his desk. We chatted in his office at the Albina Head Start on NE 7th and Fremont for a hour. (My dad had worked in Head Start in Seattle in the 1990s and Ronnie told me they’d probably met at some point.) We found we agreed about everything except this project. At the very end we both explained our position on the greenway. He is concerned that it will be another impediment for people accessing his services. I acknowledge that it will make it harder for people to drive, but in my opinion the tradeoff in safety is worth it. We listened to each other and I left feeling like I had met someone who I would like to aspire to. One thing Ronnie told me was that, when you advocate for something, make the process of advocating help accomplish your goal. With this in mind I began thinking about what to do next. I want the street I live on to be a place that has identity and is interesting to be on. How could my advocacy help create that? Seven years ago I made a friend from Couchsurfing who lives in (and is from) Mexico. We see each other a couple times a year and have travelled together in Seattle, San Fransisco, Copenhagen, and Sweden. She is a tactical urbanist in her city of La Paz in Southern Baja. She suggested that I make custom yard signs and decorate them. I went to SCRAP, spent $10 on used yard signs, made some stencils, and spray painted a few signs. 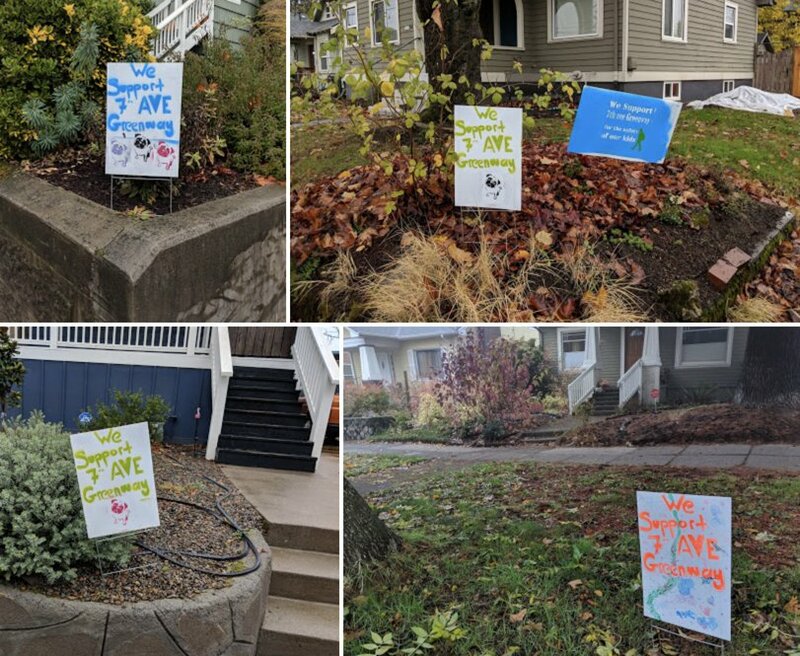 I then put a free yard sign pile outside our house and encouraged people to take one. I also encouraged people to customize their sign as well. All the signs are unique in some way with different characters and colors, which makes for something interesting to look at. In my opinion they help make the street stand out more and help give it some identity. It has also helped to unite the many people who are concerned about the current state of safety on 7th. There are over 20 signs out there today. If you get a chance in the next week come walk up and down NE 7th and experience what it is like and see if you can find all the signs. I signed up to testify to City Council this morning about the project and deliver the petition that was started by some of my neighbors. If you’d like to help me get it over the 1,000 mark it would be much appreciated! No matter what Mayor Wheeler and our commissioners say at City Hall today I feel a little more at home on my street and it is a little better already — even without a greenway. And for me, that makes this all worth it. Stay tuned for what comes next. I appreciate you Kiel. I also appreciate the life’s work and legacy of Mr. Herndon. This is a complicated situation. I only want to be able to ride with my kids from my house in Woodlawn to the LLoyd Center (And points further south) safely, and more directly. Thanks for all that you are doing. Your neighbors know each other better, and are more conscious of one another’s safety needs. That is what it is all about, creating a better neighborhood! They don’t see these changes as being for the better. So they don’t want new-comers invading their neighborhood and changing it from the way is was been working fine for their entire life. Is it even possible to reach those people? Or do you just have to hope that enough people are tired of the current way things are working? I think we are at an interesting time as a society because I think pretty much everyone agrees things need to change, what is missing is a vision for what that change is. NE 7th is already a far safer route than Portland’s busiest bike couplet (as little as 3 blocks away) and “safer” than many other heavily used stretches of neighborhood greenway (e.g. Clinton). If safety were the top priority then this Neighborhood Greenway would not have been proposed. IMO, emphasizing safety when there are better arguments (e.g. decreased congestion, increased cycling by children/families, meeting mode share/climate change goals) only reinforces the negative stereotype that cycling is an abnormally dangerous activity. Do you ever ride on NE 7th? It may show up as a “safer” street but it’s clogged with car traffic at key times of the day. There’s a long run between stop signs on some parts of the street which makes it attractive to people in cars trying to make time through the neighborhood. It’s narrow, with “bubble” obstacles in some intersections but that doesn’t seem to deter attempts to speed. The three blocks that you mention are not 200 ft blocks, they’re double or triple, and MLK is an obstacle to human powered traffic with long light cycles and/or sporty “crosswalks” where you’re quick or you’re dead. Care to swap NE 7th for SE Clinton, even up? This is exactly the kind of argument that I believe should be emphasized. It’s evidence-based and has a track record of being effective in cycling advocacy (I mentioned it in my post above). Importantly, it also highlights how the ability of lower income folk to reach services is negatively impact by inappropriate use of NE 7th (as a cut through route). I ride NE 7th often because PTU’s office is located at 4815 NE 7th Ave.
A reasonable point, except that by framing it this way it risks making people who do live in the neighborhood but would need to cross one of the full diverters into opponents, instead of natural allies. They’re a part of the congestion on the route that’s keeping it from handling more bike traffic by making it unsafe to bike on, which increases congestion on MLK, which is why it’s a popular cut-through street in the first place. Framing it as a way to reduce congestion ON 7th from cut-through traffic doesn’t explain that, it makes it sound like cyclists only want an improved greenway there so it’s faster for them without considering how drivers in the neighborhood will now be forced onto MLK (which is slower at certain parts of the day). That’s not why an improved greenway there is a good thing, we’re not hoping to make your average driver on 7th’s life worse – by improving safety on that route to the point that it’s used by cyclists as heavily as something like Williams/Vancouver, the expectation is that it will reduce traffic on MLK for everybody else. I like the idea of re-framing the project. 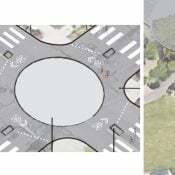 Instead of 7th being a “bike” project, it could just as easily be about making the street safer for car drivers and people out walking their dogs, using exactly the same tools and proposed configurations. By having cars slow down, there will be fewer crashes and what crashes there are will be much less likely fatal. After all, bike lanes aren’t for bike users, they are for car drivers (to more clearly delineate car travel lanes). This may be the best challenge to the “NE 9th would be even safer for bikers” argument. When there is an alternative route, the cycling safety argument often favors the “over there and out of the way” residential route (see the SE/NE 28 bike lane debacle for evidence). What I have noticed by talking to people is how little the bike arguement resonates with people, even people who support it. There are too many people who just never see themselves on a bike. That is why I’m trying to focus on the safety aspect, even for people in cars. Not exactly how I feel but maybe useful. There was strong neighborhood support for limiting cut-through traffic on Clinton, even from people who did not bike. Ok, *when* do you ride on NE 7th? Are you by chance reverse commuting, because this neighborhood street has a definite commute-hour tidal flow with some cold-dead-hands type MV operators. See the other comment about a person’s experience biking on 7th. I’d hate to have it be my only way off the island. NE 9th is of course the type specimen of the sort of street that PBOT tends to off for a greenway. You are reinforcing perversity. I’ve made it very clear that I favor NE 7th. 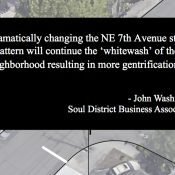 My criticism here is that many of the arguments being used in support of NE 7th also favor NE 9th. The safety argument is particularly problematic in that the NE 9th route is perceived to be a safer option by many people. It’s a little silly to compare the raw number of injuries to cyclists on those two streets without adjusting for the total bike traffic on each; Williams/Vancouver gets easily ten times as much, and also handles many more cars. Anecdotally, I used to ride 7th to get between the Woodlawn area and Lloyd Center for work. The section south of Fremont was absolutely less safe than the equivalent stretch on Willliams/Vancouver during rush hour, which is why I started cutting over west instead – adding unnecessary distance and forcing me to cross MLK twice instead of never. There are less injuries on 7th because people just aren’t riding it much, and especially not during rush hour or when it’s raining (both times when the car traffic on there thinks it’s an overflow street for MLK). Nowhere else in Portland have I had so many people intentionally buzz me, cut me off in front of a circle diverter and send me into the gutter, turn left from the oncoming traffic lane to avoid a circle diverter, drive parallel to me in the oncoming traffic lane because they want to pass me but don’t want to hit their undercarriage on a speed bump, run stop signs/red lights, the list goes on. I’m not in that injury statistic because I gave up on riding 7th to avoid being a statistic, at least when there’s any traffic on it. That being said, it’s a fantastic route late at night when it’s empty. It’s like a Jekyll and Hyde street, safe at the right time and terrifying at the wrong one. Williams/Vancouver is much more even, so I default to that now. Another problem with the “safety” argument is that it’s also, effectively, an argument for NE 9th. The biggest problem with 9th is that you have to cut through the park and a large section of the pavement is from the 1920s and no suitable for a major bike route. Not sure those are arguments that resonate with people who don’t see themselves riding bikes for transportation. Greenway pavement condition is an argument that may play well to bike advocates but it’s clearly one that PBOT does not care about (see just about every greenways) and that the public cares even less about. IMO, without strong arguments for 7th, the 7th and 9th option is a done deal. And any improvements to 7th in this scenario will end up being about as useful to people cycling as the improvements on 28th. Me too! On sunday my wife and I sit by our front window and watch people go by. There are so many more people who use this street to ride a bike on Sunday, and in the morning, then in the afternoon rush hour. There are only going to be more people riding it when the 7th ave bridge opens. If you are referring to Williams Ave being “As little as 3 blocks away”…It’s actually 8 blocks away. Or 9 blocks to Vancouver. Not sure why you would exaggerate this so poorly. I sure don’t want to ride 8 or 9 blocks out of my way (In each direction) to take Vancouver/ Williams over 7th. Between Broadway and Fremont NE 7th is as little as three blocks away: https://ibb.co/yNstXR5. Ya but those aren’t regular size blocks are they? Our average blocks per mile is 20. So this 0.4 mile 3 block stretch is more equivalent to 8 blocks. You also will get to cross a very busy arterial twice. Williams is zero, 7th is 7th. This ain’t rocket science. Thanks, Kiel, for continuing to advocate for this project. My oldest daughter will be going to Tubman next year, starting from around the King/Sabin area. One of the benefits to this improvement will be a better North/South route for students before they head west on Tillamook to go to school. (It would be far better than negotiating where N. Vancouver feeds into the freeway at N. Cook). I’d like to see PBOT and the city council factor in the safety issues for kids walking and biking there. Improvements that help reduce the speed of traffic on 7th would be of great benefit to all neighbors. I’ve seen at least one nasty car crash next to Two Plumb Park that easily could have taken out pedestrians had there not been a bit of luck involved. I hope that policymakers and PBOT will move forward with this project, given the broad support for it and the obvious benefits it would bring on the merits. Another argument for NE 9th. There are benefits to both, sure. The 7th Avenue option would bring the greatest benefits to the greatest number of users. If students were taking 9th north/south, they still face a crossing NE Freemont without a light that isn’t great (better now, but cars still go pretty fast). This also doesn’t address the issue of Two Plumb Park. A lot of young kids use that park — most not riding yet — and there’s a benefit to slowing the traffic down on the approach. Again, the crash I mentioned was pretty nasty. No one was hurt, but it took out a street post right where young kids spend a lot of time. IMO, PBOT is using the same approach they used for the 20s Greenways to step on the scales in favor of the NE 7th and NE 9th alternative. (And, of course, most of the improvements discussed for 28th never materialized.) By providing an option that brings improvements to *both* 7th and 9th versus they have undercut support for NE 7th alone. The so-called area-wide improvement are simply not convincing, IMO. What frustrates me about the 7th vs 9th is that it is just some strange thing that PBOT created when they first envisioned the project. It has resulted in pitting neighbors against neighbors. I hope in the future PBOT is a little more careful in how they frame these projects and not place so much empathsis on which street is made safe. 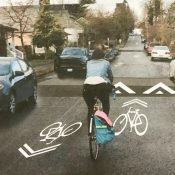 PBOT has always favored the idea that people cycling should use indirect residential routes instead of direct routes that are used by “genuine traffic”. Did Hello Kitty hack your email? Our number one transportation priority should be allowing kids to walk and bike to school. IMO, “Process of Advocating” means building coalitions and alliances with associated groups who may or may not be transportation-related, but can find common cause with your goals and/or project. You can learn from them and they from you. You are using your PROCESS to make the world better, which should evolve over time and your experiences of what works and what doesn’t. By collaborating, you grow and your partners also grow. I think he may be encouraging you to seek common cause with other types of community groups, such as churches, business associations, charities, neighborhood associations, etc. Much of advocacy involves compromise, both of your cause and of you. He may be offering to work with you even if he strongly disagrees with you on this project, as long as you demonstrate that you can work with other allied groups that he also works with. Good point! I am always amazed at how I think differently about a problem after having engaged at it and thought about it for awhile. Sometimes I would have never had an idea if I hadn’t had a conversation or do something. I think the key is to keep engaging in the process and not be afraid to fail every once in awhile as long as you learn from it. Just get involved. Find some friends. Make a list. Do it. We did back in 05 to 08.